Contact the Law Offices of J. Jeffrey Herman to get a free consultation about your particular case. Call our Santa Barbara motorcycle accident attorney at 805-983-2344 or fill out this contact form for a free case evaluation. Posted in motorcycle accident attorney on Thursday, Mar 08, 2018. It is only natural to wonder how much your settlement after a motorcycle accident will be worth – not because victims of such accidents are greedy or hungry for money, but because they are IN NEED of money in order to pay for medical bills and cover their lost wages and temporary or permanent disability. By understanding these five factors that are taken into account by juries and judges when determining verdicts and settlements, you can predict how much you can expect from your motorcycle accident case. Statistically speaking, juries are less likely to award large settlements or verdicts to motorcyclists compared to drivers, pedestrians, passengers, and even truck drivers. Bias and prejudice against motorcyclists persist in Santa Barbara and all across California, where many motorcyclists tend to speed, run red lights, drink alcohol and ride, and violate traffic rules to get from destination A to destination B. It also does not help that TV series often depict them as brutal and carefree rebels. 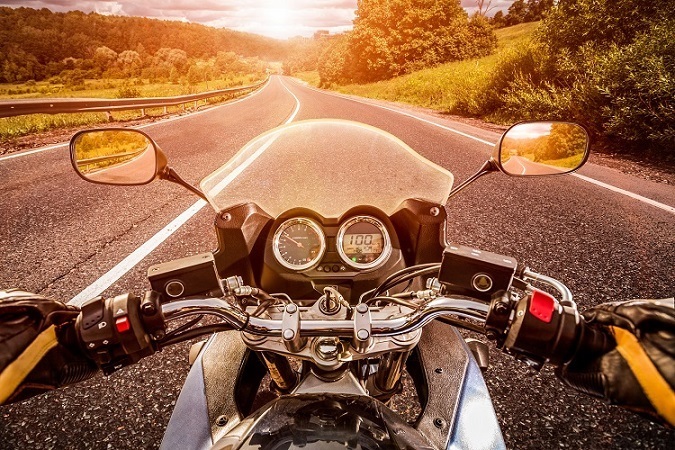 Whether or not a judge can overcome his/her personal bias against motorcyclists – even if the motorcycle was clearly the victim – largely depends on the motorcyclist’s attorney. Being legally represented by a Santa Barbara motorcycle accident attorney is essential to eliminate all prejudicial factors among juries and judges and turn their attention to the facts and evidence. The practice of valuing a case after a motorcycle accident refers to experts estimating the most foreseeable outcome what a jury might award the victim (the plaintiff) and what the at-fault party (the defendant) would be willing to pay. At this stage, juries and judges must have compelling evidence to shift the favorability toward one party or another. That is why it is so important to gather sufficient evidence of the other party with the help of a skilled motorcycle accident lawyer, who would spell out how significant your resulting injuries and damages are, and what laws have been violated by the defendant. After your lawyer has built a strong case and the court is headed toward awarding you compensation, juries and judges will be estimating the value of recoverable damages. While such personal injury damages as medical expenses and lost wages are easier to estimate – as they are considered “concrete” costs – there are also damages that are based on subjective estimations, not concrete facts. These include pain and suffering and even loss of earning capacity. If you are not legally represented by an attorney in a motorcycle accident case, you will most likely not be able to get your point across to juries and judges (meaning: expect your monetary compensation to be smaller than you deserve). When reviewing all presented evidence in a motorcycle accident case, juries and judges will determine the likelihood that the defendant will be found liable. The more “obvious” a case is (meaning: the more evidence you have against the at-fault driver), the larger the sum of money that will be awarded to you via a settlement or verdict. The insurance policy currently carried by the at-fault party will affect the amount of compensation the plaintiff (the victim) is entitled to. Typically, a settlement does not exceed the liability limits of the defendant’s auto insurance policy. These are the most common factors that are taken into consideration by courts when determining liability in motorcycle accident cases and awarding verdicts and settlements. Make sure you are represented by a Santa Barbara motorcycle accident attorney at each stage in order to ensure that your evidence resonates with juries and judges, and the court is on your side. Contact the Law Offices of J. Jeffrey Herman to get a free consultation about your particular case. Do not attempt to handle the legal proceedings on your own. Call our Santa Barbara offices at 805-983-2344 or fill out this contact form for a free case evaluation.